Compliance in every work environment is required and must be enforced by managers and teams alike. An OSHA Compliance Officer’s duties include identifying workplace hazards, inspecting facilities, performing safety and health hazard assessments, investigating plants and other establishments, making appropriate citations. An OSHA Compliance Officer must be a self-motivated individual who is fully capable of conducting workplace inspections. A compliance officer inspects all aspects of the business, institution and organization to ensure that all OSHA regulations and requirements are followed. 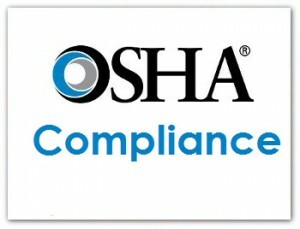 An OSHA Compliance Officer advises management of applicable laws and regulations pertaining to all environmental regulations. Facilities must comply with all Federal, State, and local government requirements concerning employee health and safety. Dedicated to serving our clients with the safest and most dependable chemical storage buildings on the market today. US Chemical Storage has over 30 years of industry leading chemical storage products and expertise. Our high-quality chemical storage buildings offer unmatched reliability and superior strength. US Chemical Storage buildings are professionally manufactured and hand-welded using 12-gauge steel for full compliance. All of our chemical storage buildings are fully customizable to house any specific chemical storage. Our buildings are FM Global and Warnock Hersey approved, while meeting all OSHA, EPA and NFPA regulations. The CHEMLoc storage building is a non-fire rated chemical storage building designed to house your hazardous materials compliantly. The CHEMLoc storage building will protect your chemical storage from extreme weathering conditions. Customize your CHEMLoc storage building to comply with your unique chemical storage requirements with our wide range of parts and accessories. The CHEMLoc storage building is ideal for storing fungicides, pesticides, fertilizers, herbicides and paints storage. The CHEMLoc storage building features a leak-proof secondary containment sump to contain leaks and/or spills. Contact us to learn more about how to contain your chemical storage properly with a CHEMLoc storage buildings by US Chemical Storage.